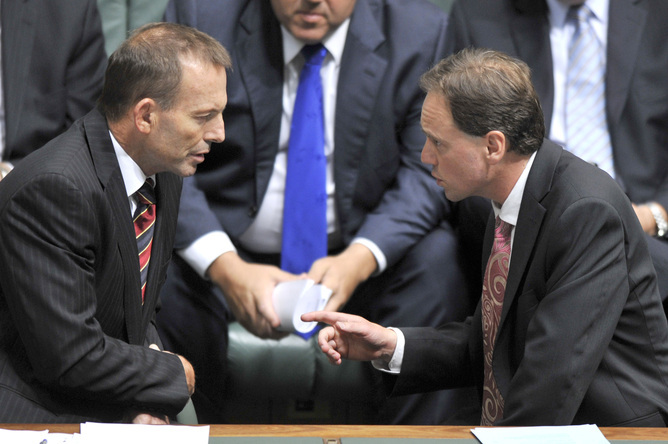 Climate Code Red: As Tony Abbott launches all-out war on climate action, what's the plan? Denial-and-delay governments dominate Canberra and in the major states, with another likely to come in Tasmania. On the other hand, the Victorian conservative government is looking wobbly ten months out from a State election. The balance of power in the Senate will likely be in the hands of an Australian coal baron and right-wing independents for the next six years, depending to some extent on the WA Senate re-election result. In the federal election no Liberal–National Party sitting member or candidate held reasonable fear that they would lose their seat because of their climate or environment stance. We lack(ed) electoral political power. Most of the movement's public allies (such as unions, aid organisations, welfare lobby, churches) have largely disappeared from public view over the last two years for various reasons (and the Abbott government attacks on their sectors won't help), and the movement looks more isolated than it has for some time. There are very few paradigm-challenging, conservative Australian climate action advocates consistently in the public space. Those in business who apparently were supporting a carbon price backflipped as soon as Abbott was elected. However a reasonable number of people were motivated to come out for the 17 November rallies. Regional organising on CSG has build sufficient power to deeply worry some State governments, with a moratorium in place in Victoria and the pro-CSG NSW government being forced to ban CSG exploration in the Sydney water catchment. In the recent years, the climate movement put too much effort into lobbying and advocacy work, and not enough into community education, organisation and mobilisation, especially as Abbott advanced. The Labor government and much of the climate advocacy movement made a strategic mistake in 2010 by trying to sell the climate legislation as about “clean energy futures” and "saying yes" without engaging people about how climate change would affect people's lives. It was all about selling good news and not mentioning bad news, selling an answer without elaborating the question. Public support went down. And our side kept on talking too much about carbon pricing and targets, and too little about how climate change threatens the Australian way of life. It should be now obvious that the Abbott government is on a complete bender to smash climate action and the renewable sector, and no amount of rational argument or reasoned lobbying inside the walls of parliament house are going to make any difference. 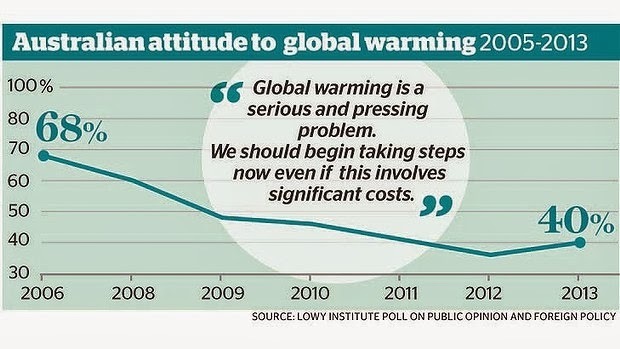 In the last six years, support in Australia for the view that global warming is a serious and pressing problems that requires taking steps now, even if it involves significant costs, fell from over 60% to under 40%, according to Lowy Institute polling (below). We lost our majority. 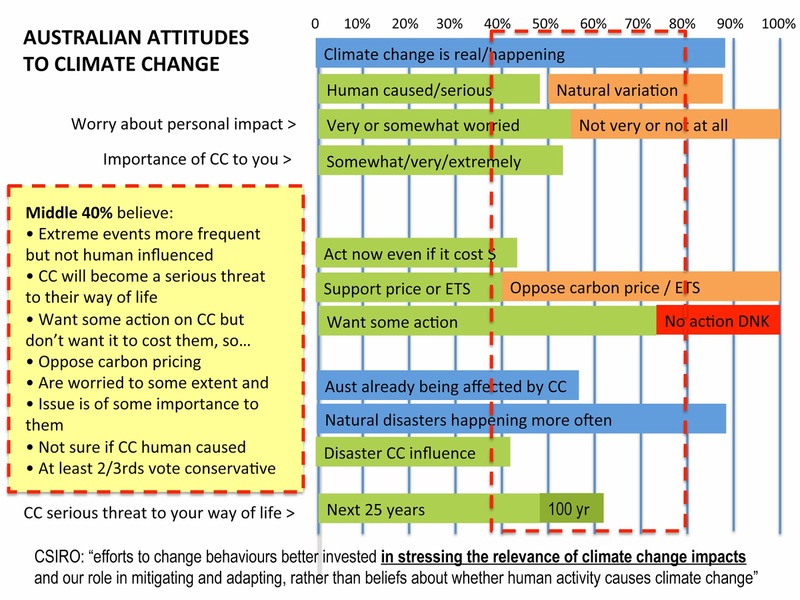 On our side (left section of chart), around 40% view climate change as real, human caused and a problem requiring serious action, and support a carbon price in some form. At the other end (right section of chart), around 20% are deniers, don't know, or want no action. In the middle (centre of chart within red dashed box) are 40% who believe climate change is real (but have mixed views about human causation), and view extreme events as becoming more frequent (with mixed views about causation). They believe climate change will become a serious threat to their way of life (more in the distant future than soon), want some action on climate change but don't want it to cost them, so oppose carbon pricing. Looking in more detail at this middle group, the fact that they are unwilling to countenance climate policies they perceive as costing them even a small amount — hence Abbott's largely fallacious but effective appeal to "cost of living pressures" and electricity prices — will only change when the visceral impacts of climate change — on health, home, livelihoods, children — are well understood as personally affecting their lives in a significant way, and sooner rather than later. efforts to change behaviours (are) better invested in stressing the relevance of climate change impacts and our role in mitigating and adapting, rather than beliefs about whether human activity causes climate change. The Abbott government constructs climate as a culture war. It will not be persuaded by reason and is not interested in compromise: fighting enemies and winning is more important than reality-based policy-making. At present, Nick Minchin and Maurice Newman influence the Abbott government more than the climate movement in toto. Rational conversation will not move Abbott or those close to him: they have no interest in what we say, because they see what we stand for as a huge threat to their world view and are using the power of government to wipe out as much of our legacy and our future power and influence as possible. This is clear in the decisions made so far in the climate, energy and environment portfolios, which are not evidence-based. Culture wars are not primarily about policy detail, but about legitimacy and dominance. They are out to smash us up and anything that threatens the fossil fuel industries. The most imminent threat to their position is their own overreach. It is in this environment that we set our goals. He has a plan that isn't a carbon price, so won't cost people directly (which is untrue because it is being paid for out of peoples' taxes). All of which fits the "middle 40%" demographic, so from an opportunistic political point of view Abbott's position is not mad, even though from a scientific standpoint it is completely bonkers. Close attention being paid to the efficacy of his climate plan. Weakening of the government's general credibility, which may detract from the authority of its position on carbon pricing. The government is already suffering from over-reach, arrogance and incompetence which have dented its credibility on a number of fronts (foreign affairs, education, debt, jobs and industry), resulting it already being behind in some polls. This rules out any double dissolution and, if the trend continues, will weaken the case for scrapping the carbon tax in the new Senate after 1 July 2014. So one key task is to make the story about how climate change will make peoples' lives worse and the duty of politicians to protect them, not a story about taxes and electricity prices and cost-of-living pressures. That is, sell the product (climate impacts), not its price (carbon tax) by constructing a narrative about climate impacts that brings the message back to the home, that connects the dots, that poses the choice between increasing harm and threat, or acting to restore climate safety. We need to more thoroughly learn the lessons from the health promotions sector: be honest about the problem and tell it like it is; show a better alternative, the benefits of changing behaviour; and finally demonstrate an efficacious path to move from fear to success. It probably means developing the capacity to tell "micro" stories about impacts in particular geographies, for example to show how climate change will impact a NSW north coast retirees' beach town in terms of fishing (fewer fish), surfing and beach amenity (sea levels and storm surges), outdoor recreation clubs (more intense droughts), backyard vege gardens, health (more heat waves and heat stoke) property damage (more intense "tropical" storms events moving further south), and so on. Every place in Australia has its own future "micro-climate-change" story, and it's up to us to be able to tell it convincingly. It also means thoroughly preparing for, and better managing, extreme climate teachable moments. Figures just out show that the mid-January 2014 heat wave caused around 140 more Victorian deaths, mainly amongst the elderly and due to heat stroke and heart attacks. The Victorian Government is wide open to the charge of "failing to protect Victorians from climate change" (as Greens deputy leader Adam Bandt did with Abbott and the spring 2013 NSW bush fires) but to my knowledge nobody has so far taken up the case, which would have had the Victorian government on the back foot and looking foolish and embarrassed. A meta-theme of "Protect Australians from climate change" is stable over time (as policy details and particular campaigns demands change), and directly opens governments to the charge of "failing to protect Australians/Victorians from climate change" which they can neither answer in the positive (because they obviously are not) nor answer in the negative (accepting their own negligence). A meta-theme of "Protect Australians from climate change" links directly to people's own lived experience of extreme heat and discomfort, of bush fires, health impacts on family, of changing coastlines, of extreme drought and water restrictions, and so on. Carbon budget (vertical axis) and probability of keeping below target (horizontal axis) for 2C (blue line), 2.5C (green line) and 3C (red line) of warming. Source: adapted from Raupach (2013, unpublished), based on Raupach, M.R., Harman, I.N. and Canadell, J.G. (2011) "Global climate goals for temperature, concentrations, emissions and cumulative emissions". Report forthe Department of Climate Change and Energy Efficiency. CAWCR Technical Report no. 42. Centre for Australian Weather and Climate Research, Melbourne. As the graph shows, based on a chart from Mike Raupach at the ANU, at a 66% probability of not exceeding 2C, the carbon emissions budget remaining is around 250 petagrams (PtG or billion tonnes) of CO2. However this "carbon budget" also has a 17% chance of exceeding 2.5C and an 8% chance of exceeding 3C, which is clearly a risk we would be mad to accept. 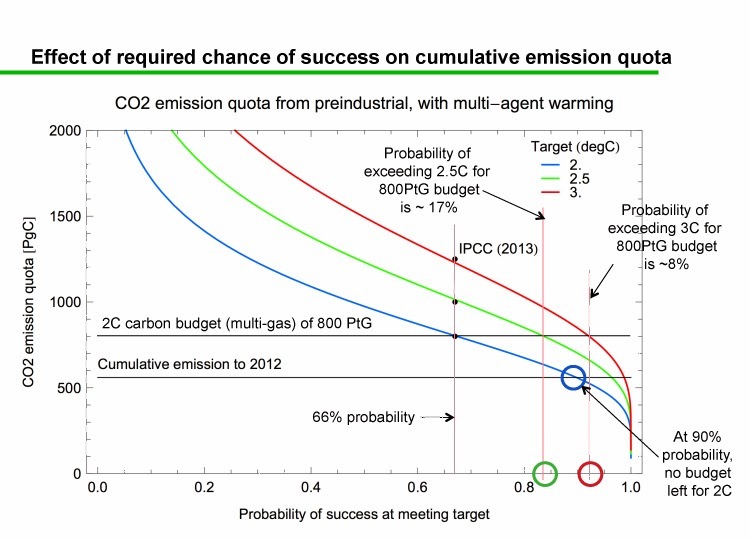 If one wants a 90% chance of not exceeding 2C, there is NO "carbon budget" left (blue circle). From this point of view, it is time to "Re-do the maths" that Bill McKibben popularised in his Rolling Stone article. Even for a 50/50 chance of not exceeding 2C, Anderson and Bows have demonstrated that for the high-polluting, developed economies this means annual emissions reductions of 10% per year. Do we ever have a conversation about how these imperatives might affect what we do? Do we dare articulate (even amongst ourselves) the bleeding obvious, as Tony de Brum, Kelly Rigg and former Irish president Mary Robinson did in the Guardian at the conclusion of COP19, that "We are now at a tipping point that threatens to flip the world into a full blown climate emergency"? With the current level of greenhouse gases sufficient to produce 2C of warming, a rapid transition to a zero-emissions economy and large-scale atmospheric carbon drawdown are now necessary. At a time when global coal consumption is still growing, this means a rapid winding down of the fossil fuel industries and the stranding of capital, radical reductions in energy demand, and radical changes to many industries including food production, tourism and travel, international education, construction and transport, all of whose current interests are defended and promoted by government. What level and character of political power would need to be mobilised to achieve this objective, and how might this be done? Sustained organisational unity at the action level. Is it fair to say that the climate movement in Australia too often exhibits few of these conditions? At the moment, do we fail on the basics, even on such things as what we say? Too often, are a hundred different things said at once, rather than everybody saying the one thing a million times? 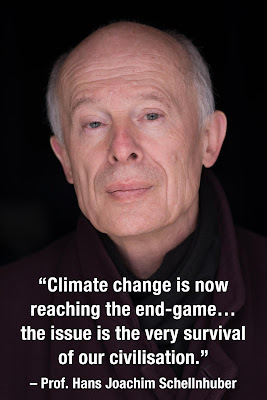 There are messages and campaigns about coal, and gas, and renewables, and big solar, and wind farms, and new coal mines, and new coal export terminals, and energy efficiency, and community solar, and targets, and divestment, and renewable energy targets, and clean energy, and carbon prices, and carbon trading, and climate authorities, and clean energy funding, and saying yes, and keeping fossil fuels in the ground, and protecting the barrier reef, and the Arctic and many more. If we want the electoral centre to listen to us, do we need to all say the one, same, effective thing over and over and over and over and over and over again until it becomes normalised? This is one of the ABCs of politics that Tony Abbott and his staff understood in opposition very well, and our side little or not at all. The movement seems to have an incapacity to unite consistently around a successful strategy. 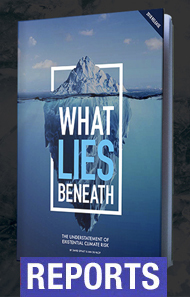 Much of the movement consists of big and small NGOs dependent on philanthropists and donor/supporters operating within a climate advocacy marketplace in which NGOs compete against each other for a pool of funders, supporters and dollars. Building brands and product differentiation provides a structural basis that inhibits effective ongoing political unity. Some in the movement now acknowledge this as perhaps the prime strategic obstacle. Carefully-guarded individual NGO databases can inhibit effective community organising in specific locations, unless one is prepared to re-invent the wheel by building ones own list from scratch. The duplication is large scale, and a big waste of precious resources. Is it fair to say that more often than not we have a fractured movement? The national climate rallies in November painted a revealing picture of the climate movement's current state. Democracy: Essentially, one organisation (GetUp) called the rallies without consultation, and everyone else had to fall in behind so the rallies did not fail, but everyone knew that if there had been a proper consultative process and four months had been allowed to build events in February at the end of a long, hot, bushfire- and heatwave-plagued summer, something really much bigger could have been achieved and at the same time kicked off the year with energy and action. The history of mass rallies in Australia is that people are tired at the end of the year; after a summer break they are more likely to hop into what is happening, with February to June the best window. After all, the crucial Senate votes are not until July 2014, so rushing was less important that succeeding. Limited outcome: The numbers were nowhere big enough to give Tony Abbott a fright, their political impact negligible. The claim was 60,000 nationally, in reality probably 30-40,000 from what I counted in Melbourne and reports from other cities. From my own observations over many different issues, to make a serious political statement you generally need 50,000 in big cities like Sydney and Melbourne, and preferably 100,000 in each. If you sit in one place and particularly a park away from pedestrian traffic and don't march, the only people who see you are the people who have made a conscious decision to attend; for the rest of the town or city, the event is invisible. Clicktavism limits: The groups endorsing the rallies collectively have many more than a million digital supporters, so the attendance wasn't great. Experience tells us that for big events to be really successful and maximise opportunities, they need months and months of preparatory work, engaging local community-based groups, streets-stalls, small forums and big public meetings, lead-up media narratives, working across church and union and welfare and the aid and arts and conservation and similar sectors. For the November rallies, this was not feasible. Resource use: It is reported that the events cost $260,000 or $6 a head. That is a poor outcome for money spent. Opportunism: After the rallies, GetUp hit their lists selling Bill McKibben's book (without, as far as I could see, a single mention of 350's work) on the basis that by buying the book/donating to GetUp, you would be "powering(ing) the movement". So GetUp IS the movement, right? Followup: One key purpose of any rally is to propel people into the next run of activities, to collect contact details, organise new local activism groups, promote events, and so on. Because there was no such plan or intent, this task failed. The rallies were a moment in time, not a building block. The need for large-scale serious organising for political power to throw this government out of office, and spending less time spent on policy detail, is fundamental in responding to the Abbott agenda. Many groups in the movement are now saying this, and it's hardly a new idea. Community organising has been practised for many, many generations, one way or another, and on many issues in Australia today. It's a political skill that perhaps has perhaps diminished in the digital age and is now being reclaimed. How will community organising be done from now on? Will everybody do their own thing, and hope it adds up to something coherent? The logic of the structural/branding issues discussed above is that most activist and organisation take responsibility only for their own turf and for their own interests. Should we ponder the question: "If everybody takes responsibility for their part, who takes responsibility for the interests of the movement as a whole?" Do we have an answer? Can we learn from the trade union movement? In the last term of the Howard government, trade unionism faced a government with very hostile industrial relations laws and made a very clear decision not to give priority to working in Canberra's halls of power lobbying and prying incremental changes from the government, but to devote all the resources they could muster to bringing down the government. The "Your Rights at Work" was a well-resourced, strategic, unified and persistent campaign encompassing a strong public affairs campaign, and an electoral campaign over 20 marginal seats, each with a full-time organiser and local cooperation between the ACTU affiliates to facilitate systematic community outreach. 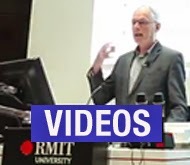 What can we learn from Your Rights at Work, the Melbourne and Indi election campaigns, the Port Augusta work, the Sunrise Project, Lock the Gate, and Environment Victoria's community engagement strategy? In building political power, what is the balance between winning the public affairs battle (how the issue is framed and understood), public mobilisation, building sectoral strength, building issues-based campaigning, and building geographic (electorate) strength? I know it is easier to ask questions than provide answers. But at the moment perhaps even the questions are not being asked as often and as loudly as they need to be, especially as the Abbott government turns upside down the climate policy paradigm in Australia.